Bees maintain their hives at near-constant 90˚ Fahrenheit, even on the coldest days. 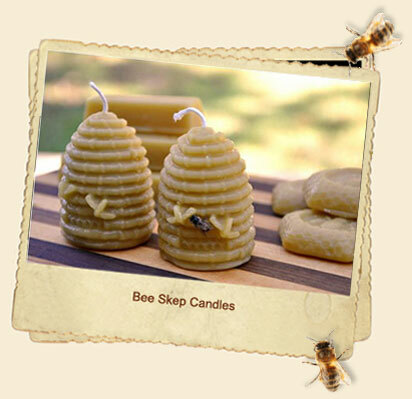 You can enjoy the warmth and aroma of a beehive with our 100% beeswax candles. 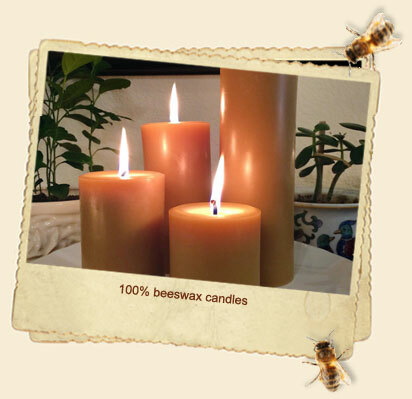 As with our honey, we add nothing and take nothing away from the beeswax in our hand-poured candles and other wax products. 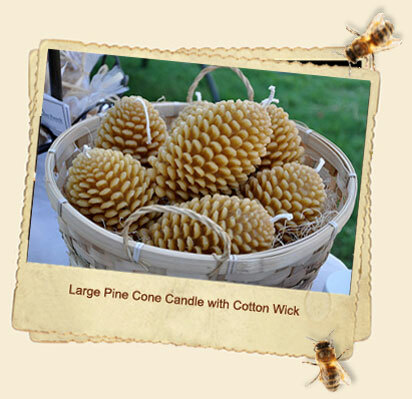 Our beeswax candles are made using cotton wicks. They burn brightly and cleanly and they last much longer than paraffin candles. They emit a natural honey-aroma. 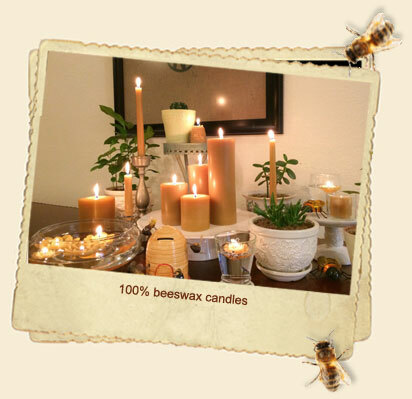 All of our candles are pure beeswax and are hand made by us, one at a time. 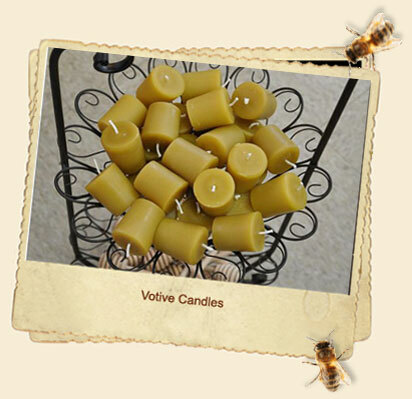 Pure beeswax candles will develop a patina called “bloom.” This is a soft, white film that occurs only on pure beeswax candles and candle enthusiasts often cherish it. 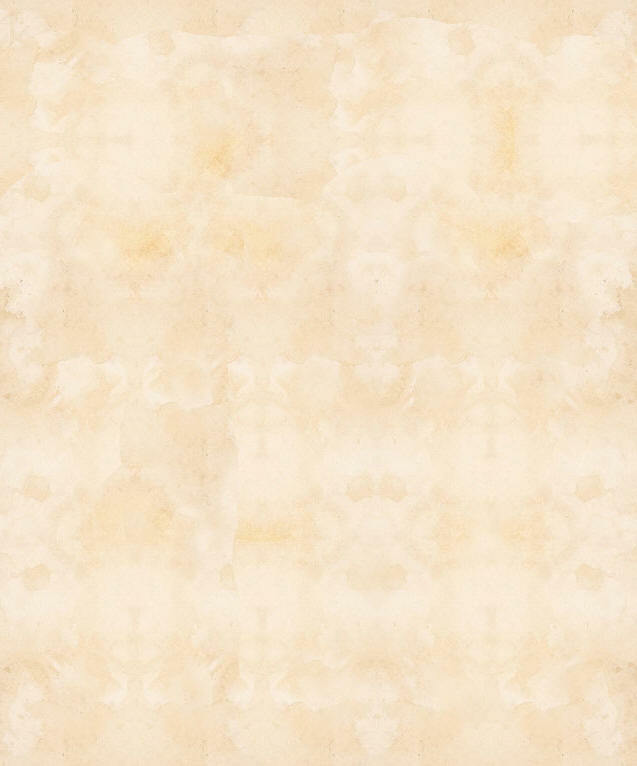 If you prefer a polished appearance, simply wipe your candle with a soft cloth, or warm it with a blow dryer. Use a plate or holder appropriate for the type and size of candle you are burning. Light the candle at the base of the wick. Burn for extended periods of time, typically 1 hour per inch in diameter, to ensure that the wick melts the candle evenly out to the edge. 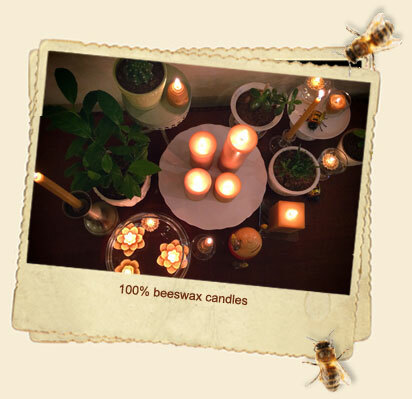 Keep candle away from drafts, such as beneath ceiling fans or room vents. To extinguish a candle, dunk the wick and then straighten it and let it cool. Alternatively, to extinguish a candle, use a snuffer versus blowing out. Blowing out candles may cause dripping. Do not touch the wick once it is extinguished and cooled as it may break the wick. - 4 hour burn time; ea.